1. 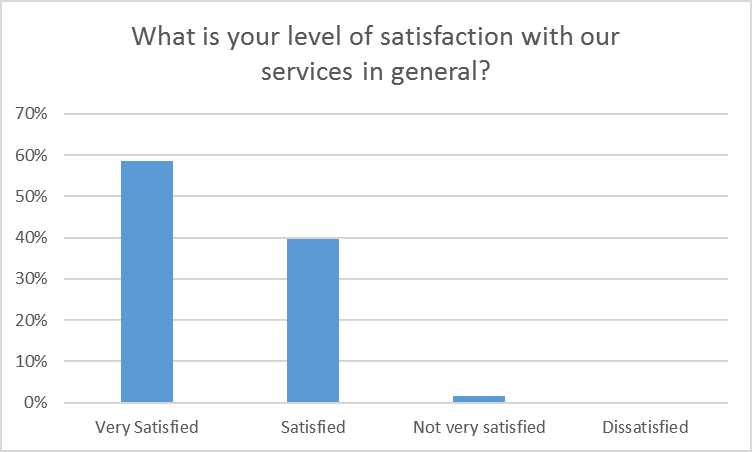 What is your level of satisfaction with our services in general? 2. 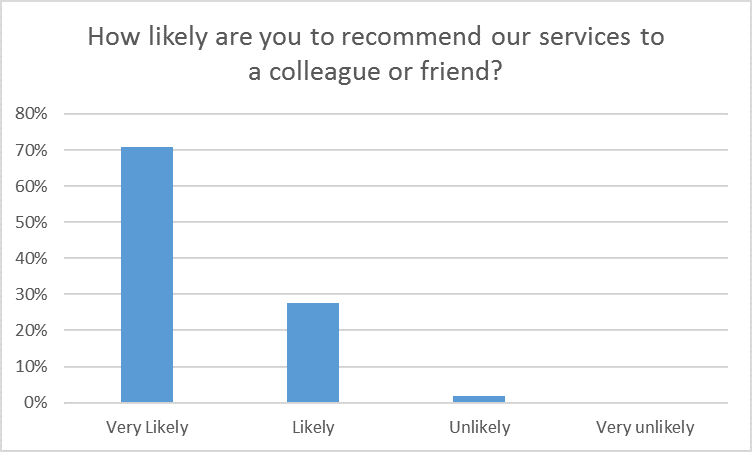 How likely are you to recommend our services to a colleague or friend? 3. 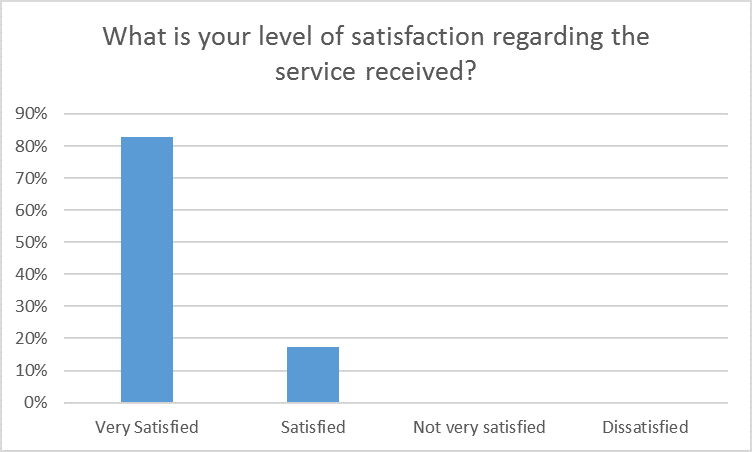 What is your level of satisfaction regarding the service received? 4. 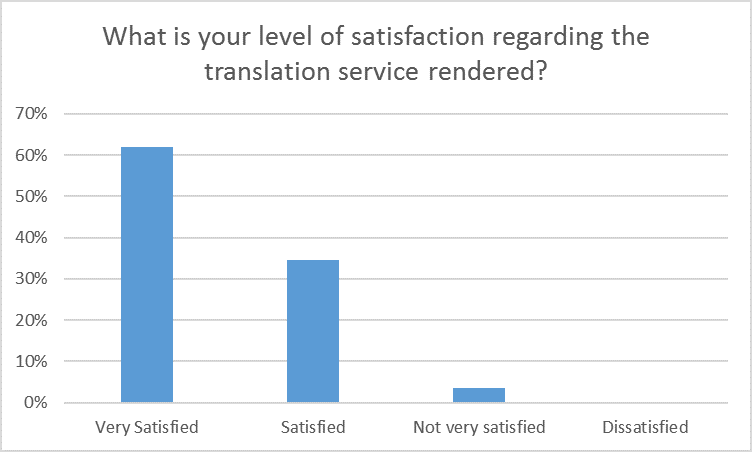 What is your level of satisfaction regarding the translation service rendered? Between 1 March and 2 June 2017, we sent approximately 300 surveys and, of those, received 58 replies. This number amounts to a sample close to 20 % of all the clients we worked with during this 3-month period, which leads us to believe that the result obtained may be extrapolated to the total number of clients in our portfolio. 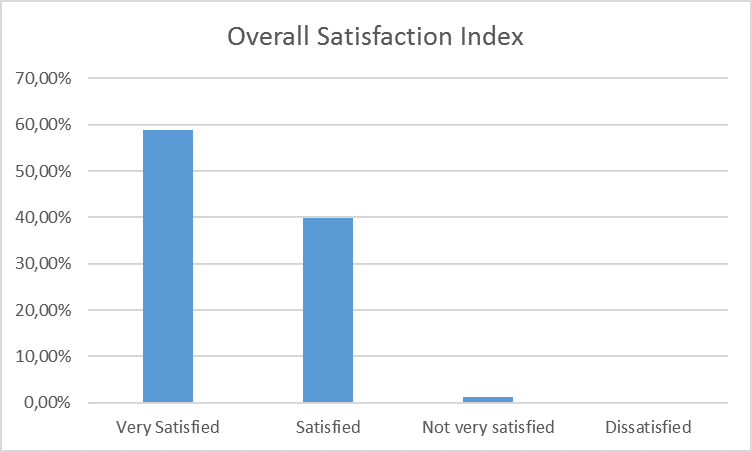 If we also bear in mind that less satisfied clients are more likely to give their opinion than satisfied ones, then these numbers take on a fantastic dimension, which leaves us very satisfied. That is quite interesting, the way you are able to measure your clients satisfaction so acurately. I am looking for something similiar along those lines. Well done!